A classic: premium Roma tomato juice, cayenne pepper, lemon juice, black pepper, and Worcestershire sauce. A nod to the original recipe that made this cocktail famous at the turn of 20th Century, Master of Mixes Bold Flavor Classic Gourmet Bloody Mary Mixer is our traditional take on this world-famous classic. 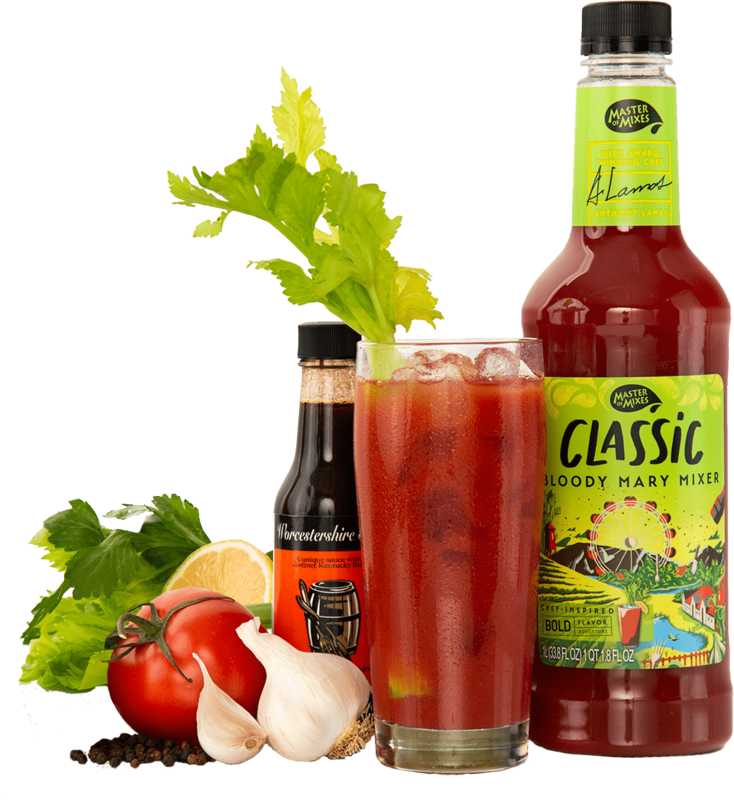 This universally accessible Bloody Mary mixer packs a ton of flavor and top-notch taste because of our steadfast commitment to using only the freshest, high-quality ingredients in every single batch.